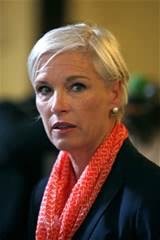 If I could ask Cecile Richards of Planned Parenthood what is her greater fear, the appointing of conservative Supreme Court Justices or the educating of our youth about the negative impact of abortion, I would say she would choose the latter. So, how do we breach this sensitive subject with our young generation in a way that is interesting, educational, engaging,and heart changing? Why not try this “novel” approach. 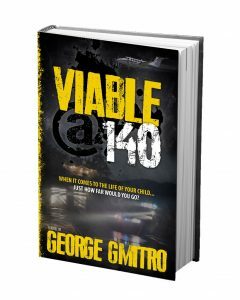 In the suspenseful and intriguing novel VIABLE@140, Congressman Ely is on the Sean Hannity Show passionately arguing with Senator Friendly concerning the welfare of a mother and how her reproductive rights should take priority over the life of her preborn child. This is one of many thought provoking points in this fictional work that will encourage debate among your peers and students. As the scene gets heated, the congressman argues that the fact that Sandi Kano is pregnant is a point that should be moot when it comes to how the authorities pursue this case. I strongly agree that it should be moot… but not as to the definition that Congressman Ely subscribes. Let me explain. According to the Cambridge Dictionary the American English meaning of (AE)moot is : a point that has little or no practical relevance. For those who profit from a crisis situation, the sacredness of the right to an abortion makes any attempt to regulate the procedure (AE)moot. The fact that Texas was trying to ensure the safety of those in a crisis pregnancy by requiring common sense safety precautions is also(AE)moot in the decision making process of 5 of the current justices on our Supreme Court. On the other hand the British English meaning of (BE)moot is : a trial or discussion dealing with an imaginary legal case, performed by students in exactly the same way as a real case, as part of their legal training. Used in this way, the negative impact of abortion from the loss of life in the womb to the long term wounding of the mother and family is (BE)moot, a subject worthy of discussion! This is what the abortion industry fears most. Do not allow your students to leave your care without breaching this important subject that can change the trajectory of their or their peer’s lives! There is a battle over defining which meaning of moot will prevail on today’s American stage. I dare say the ones who benefit from the culture of death are fighting relentlessly for their meaning of (AE)moot and try relentlessly to mute the other . We need to counteract the American English definition in our courts and media with the British English definition in our classrooms and among our peers and families. When the facts of high risk pregnancy, increase risk of breast cancer, suicide, depression, and male aggression are investigated and discussed in a Christlike setting our youth will be better equipped to respond with compassion to the lies of those who profit directly from abortion or from the abortion industry. Once our younger generation is armed with this knowledge and the passion for life affirming choices, the forces that have controlled the discussion the last 4 decades will not be able sell their product of deceit and deception regardless of whether Roe vs. Wade is still the rule of our land because it is no longer the rule of our hearts. Please join me by introducing young adults to literature that will make the topic concerning the life of the preborn and the well being of the mother (BE)moot, worthy of Christlike conversation and let’s never tire on keeping the (BE)moot from becoming (AE)moot.